Throw an unforgettable bachelorette party! 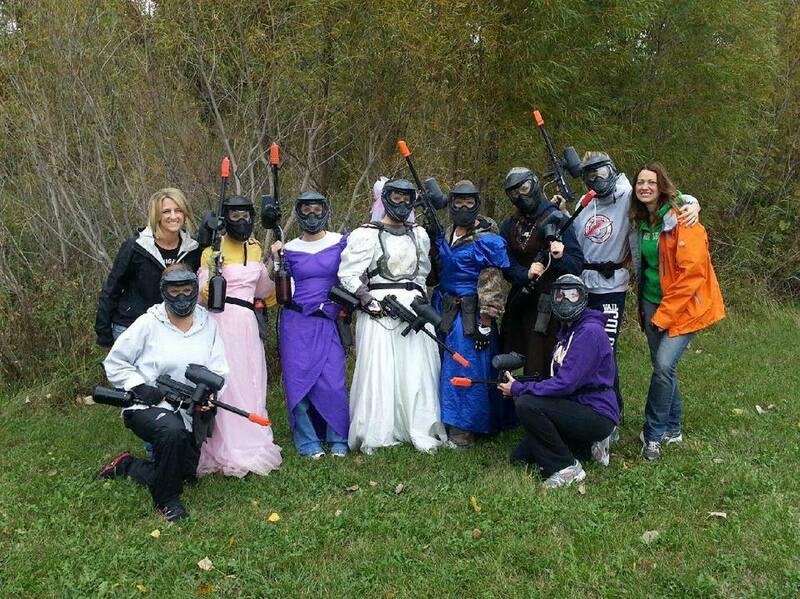 Why not change it up a bit by hosting your bachelorette party at Action Packed Paintball? Team up with the girls and dive into the action! We have all the rental equipment you need to play. Worried about welts and bruises on your wedding day? We use low impact paintball! These paintballs are design to deliver less energy on impact resulting in less sting and no welts and bruises! What are some of the benefits to hosting your bachelorette party at Action Packed Paintball? Here at Action Packed Paintball we use low impact paintballs that cause less sting upon impact! So if any of your friends try to say they are afraid of getting hurt you will be able to tell them it won’t be a problem. We offer full rental packages, air refills and paintballs. All you need to do is show up in some clothes you won’t mind getting dirty (although our paint does wash out easily). So start rounding up your girlfriends now and get ready to have the best time of your life at Action Packed Paintball! We are able to accommodate groups of any size. Give us a call at 612-378-0385 to book your bachelorette party’s spot today!